Yes, a vehicle fully wrapped in carbon fiber vinyl can be pretty neat. It is certainty not the first time it has been done, however it was the first time our install team at Fast-Trac Designs tackled such a major project. 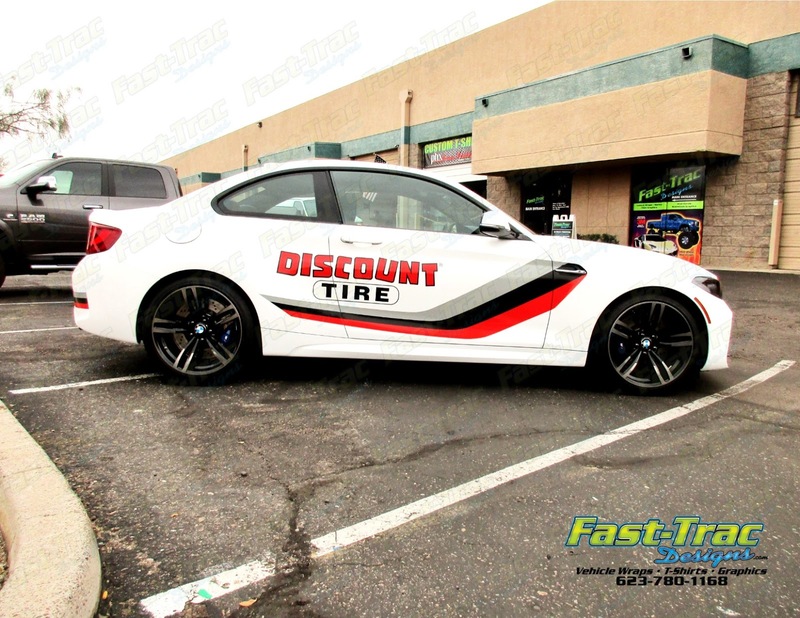 The vehicle was a white BMW M2 and the client was Discount Tire looking for something that would catch attention. He chose 3M 1080 series white carbon fiber and then a design to be applied on top of the white. The installation process took 3 days and the finished project was perfect. Our client was extremely pleased and the team at Fast-Trac completed another successful wrap that truly shows the capabilities of vehicle graphics.